“We are in a brave new world where not only do our children talk back to us, but so do our appliances.” – Mohammed Dastagir, VP and CTO for Sears Home Services. It was on a Friday, and my calendar reminded me that I have an appointment. Okay, it’s time to get up from my desk, grab a watering tank, walk to the restroom, fill the tank with water, walk back to my desk, and water the plant next to it. I didn’t do any of the above, not because I am lazy (well maybe a little *guilty*) it’s just that the process of doing so is taking my precious work time. Instead I just sat on my desk and continued doing work. Why am I killing my plant you ask? Cause I have a device that automagically waters my plant when it’s thirsty. (THANK GOD!) Pretty handy isn’t it? tadaaaaaa … our very own Zio Plant Hydration Kit. 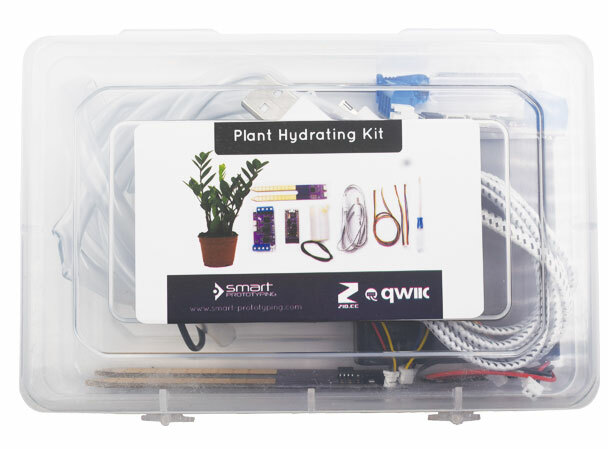 This project will guide you in setting up Zio Plant Hydration Kit. 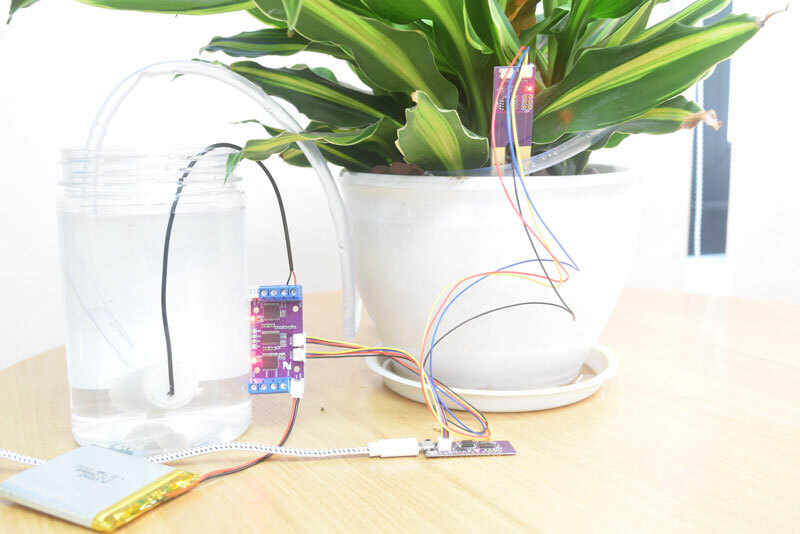 By the end of this tutorial, you will have a running device that intelligently detects your plant’s soil moisture condition, as well as giving your plant the H2O boost it needs! Let’s uncover what is in this box of wonders! Don't have the kit yet? Purchase it here! I know some of you can’t wait to set it up so just follow the instructions below to start building! 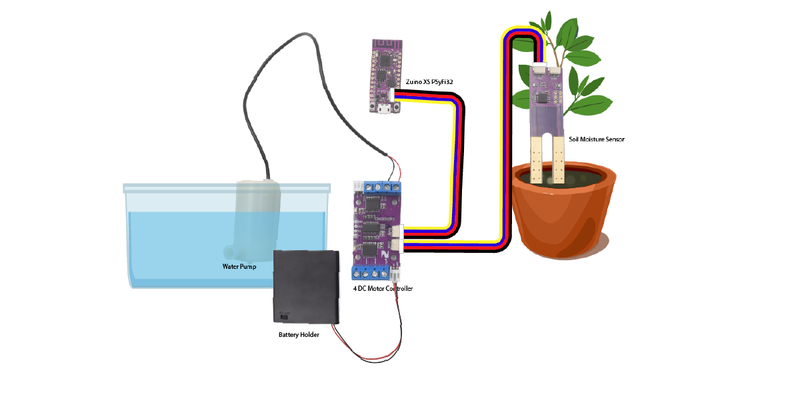 The diagram below is what the setup will look like after you connect all the components together and set up your watering plant system. 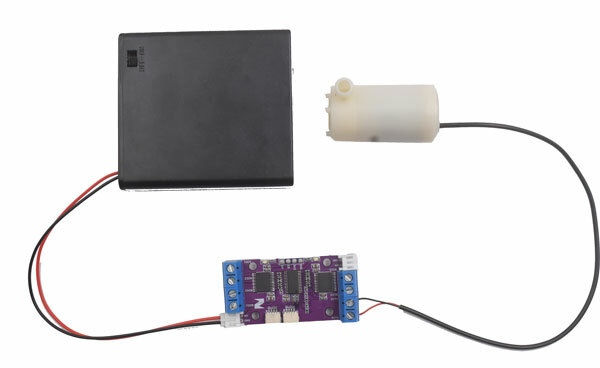 Take the Zio DC Motor Controller and connect it with the water pump. 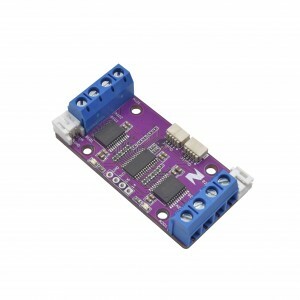 You need a screwdriver to connect this two modules together. 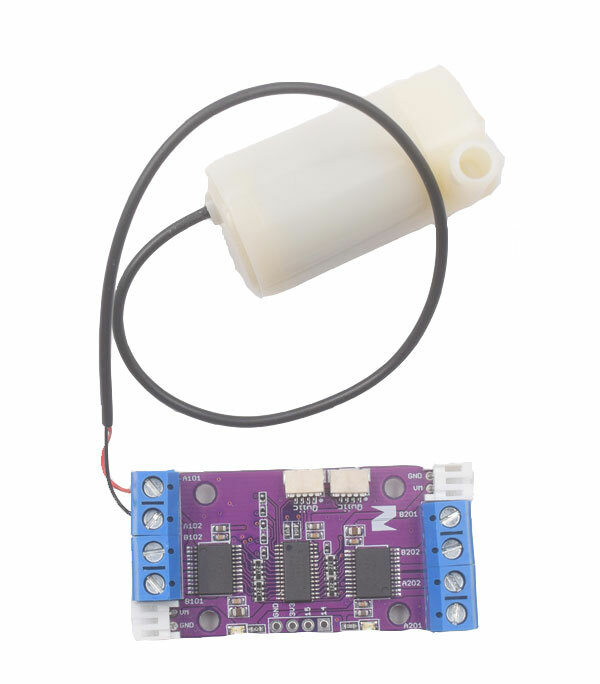 To make the motor controller work, you need to supply power to it. 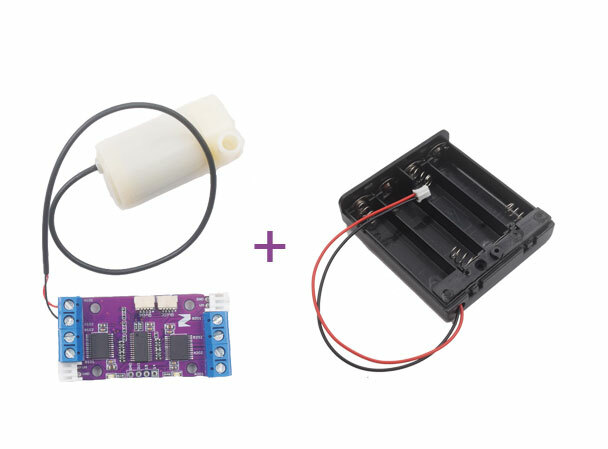 Connect the battery holder to the motor controller. 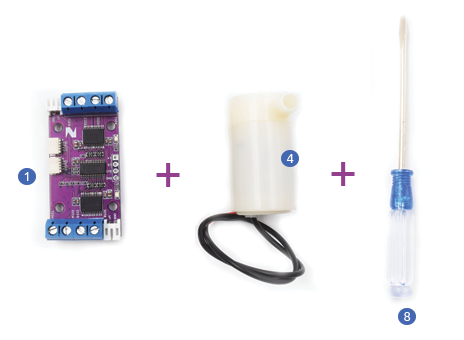 In your Arduino IDE, open the Plant Hydration kit firmware. You can leave the code as is and just use the default values. By default, the values set for DRY, WET and NORMAL are 650, 250 and 500 respectively. You can make changes on the time taken needed to water your plant again and also the time needed to reconfirm the value when your sensor checks for moisture according to your needs. Or you can just use the default settings. After you make the necessary changes click upload. You can check out this guide on how to check basic readings. Insert your sensor to the soil and collect the readings for when your soil is Dry, Wet and Normal. (You need it to calibrate your soil and input this value in the code later). Set your moisture level for DRY and WET. 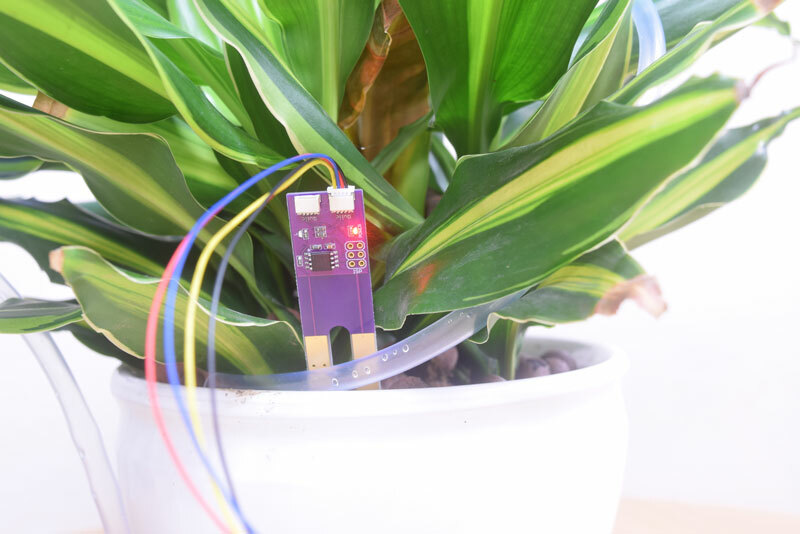 The sensor will try to reconfirm that your soil is dry, it will detect that your plant needs the water boost, and send this info to PsyFi32. 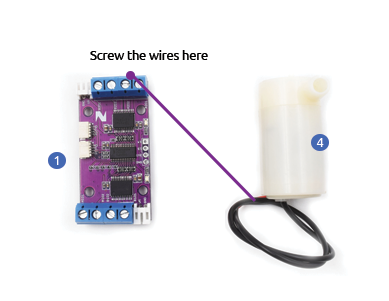 It will program the DC Motor to pump water to your plant. Your sensors LED will light up. When your soil is wet, the sensor will detect that your plant is sufficiently hydrated so will not need the H2O boost. The Green LED will not light up. 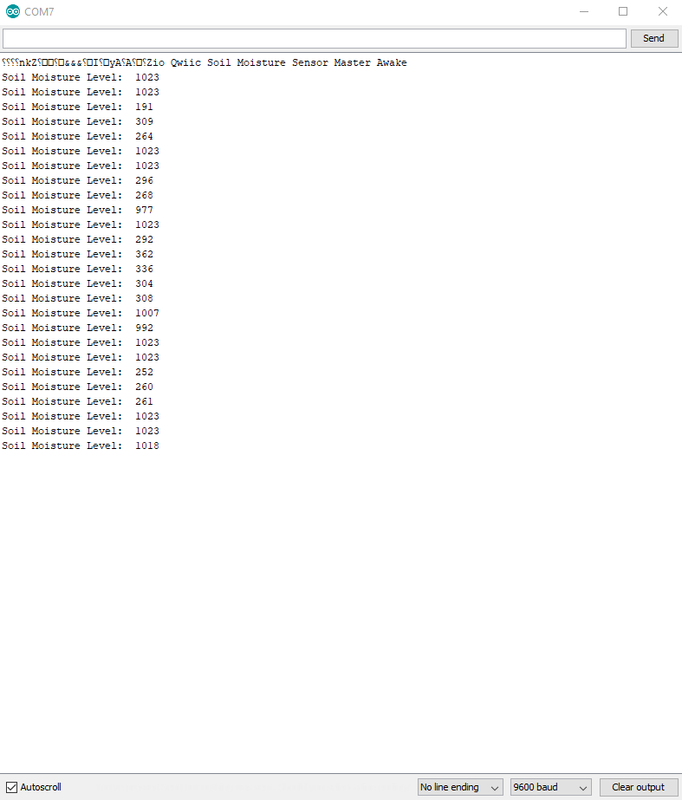 If you already know your soil moisture rate you can skip this part and just input the code. 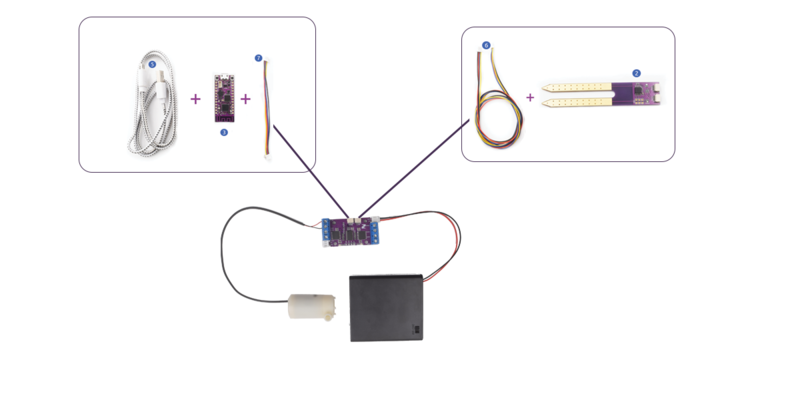 Insert the sensor probe into your plant's soil. 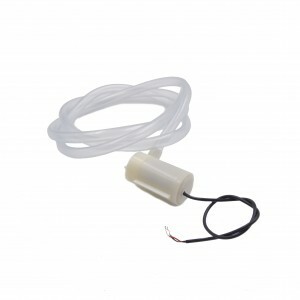 Supply your battery holder with Standard Alkaline batteries and switch it on to power your motor pump. Connect your PsyFi32 to a power source (in this tutorial we use a Portable USB charger) and click the reset button. For our next tutorial, we will set up our Plant Hydration kit with a cloud server to record your plant’s data and watering record. In the meantime, do check out our other awesome and cool Zio projects to give you that qwiic inspiration!